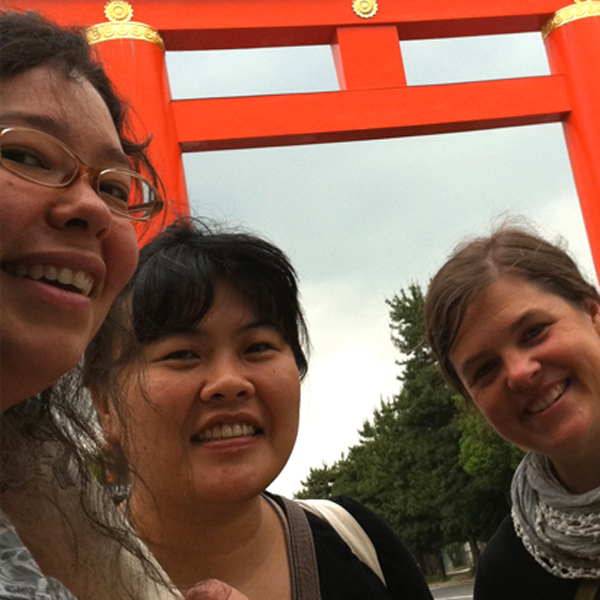 Katie, Yoonmi and Mariko met while studying mokuhanga in Awaji in 2004, and have stayed in touch, continuing to learn and discuss the technique together. Katie Baldwin is the Assistant Professor of Printmaking at University of Alabama Huntsville. Her work investigates text, image, and the way in which narratives are built. Yoonmi Nam is an Associate Professor and Associate Chair in the Department of Visual Art at the University of Kansas. Her work considers the cross-cultural experience and sense of transience throu­gh prints and drawings. Mariko Jesse is a freelance illustrator and printmaker, currently based in San Francisco. Her artwork explores her ideas about sense of place, finding beauty in ordinary, humble objects.